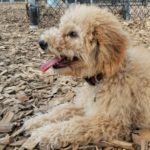 Come join us on Saturdays for Puppy Club! Together, you and your fur-baby will learn socialization skills, healthy play and interaction, as well as how to handle new experiences. Set your pup up for success and have fun, too! Beginning March 18, Puppy Club will meet at 2:00 pm. To reserve a space, call us at 410.741.0000 so we can learn more about your puppy and get you started on the right paw! We look forward to meeting you! Looking for puppy obedience lessons as well? Check out our Puppy Power package or request a free training evaluation for your new puppy! Call 410-741-0000 to schedule your Puppy Club Reservation today!